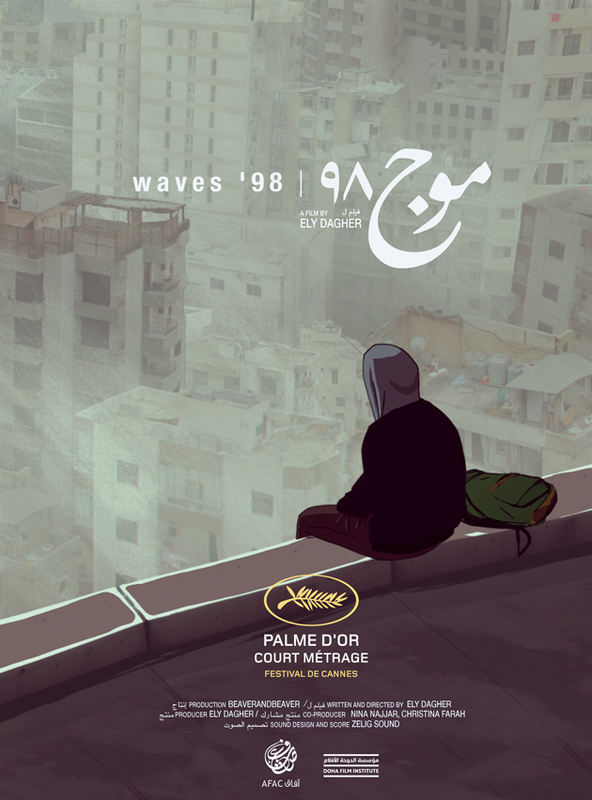 Prestige met Ely Dagher to talk about his movie, Waves 98, who won the Palme d’Or at the Cannes 2015 Film Festival in the short film category. 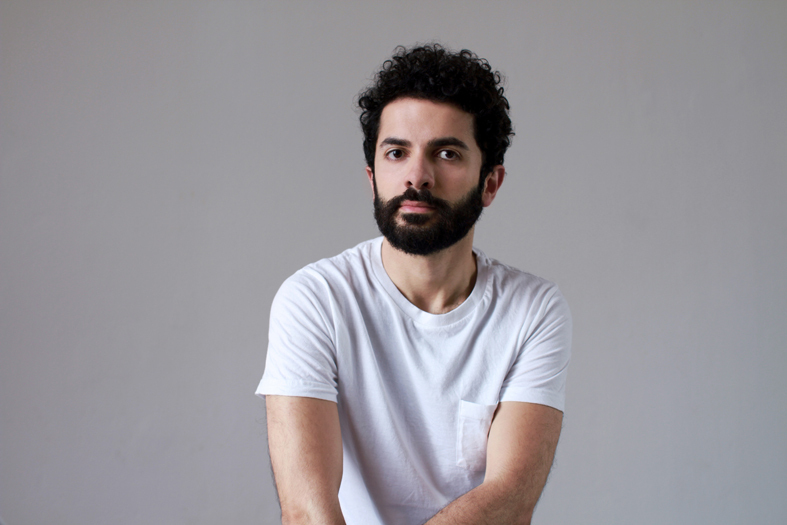 Can you tell us briefly who is Ely Dagher and what decided you to study animation? I studied one year of animation at Alba, I have a bachelor’s degree in illustration and drawing from Alba. Initially I wanted to study biology, because I was very successful in biology at school and I wanted to pursue a bachelor in this specialty. I studied in the artistic field because I loved drawing, and it is at the last minute that I registered in Alba preferring art to the scientific option. You have been awarded many prizes in your homeland and in Europe for short animations, how does it feel to win the Palme d’Or for the short film category at one of the most important film festivals? It’s very rewarding for all the work I have done during two years on the film. It’s motivating, since I would like to make more movies, may be a feature film. In my work, stories are personal in relation with my life. Can we say that during your teenage years, you did not fit into your environment, there was some anxiety in your life? I have never accepted negative things happening in the country. Why don’t we try to change things, why do we destroy traditional houses to replace them by towers? Why don’t we have access to the beach? The rebellious side is in not accepting the things that people usually give up on. 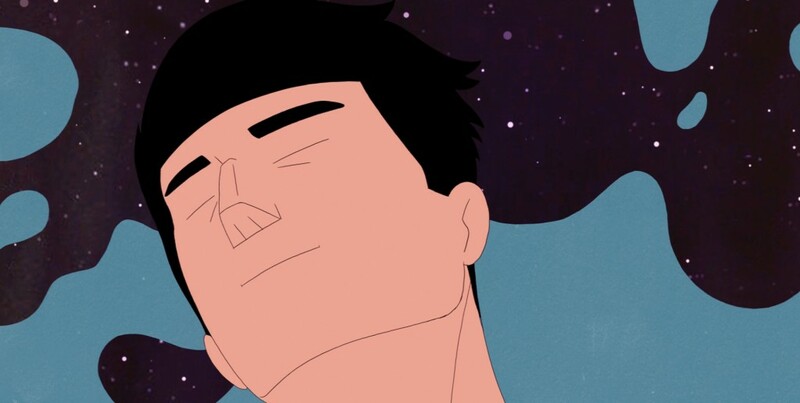 When the hero of your animation encountered friends, when he went in this machine with people of his age, he changed, he felt better, while when he was with his parents, he got bored? Life in this parallel world with the other young people he discovers is inspired from my personal experience, when I was 16, 17 years old I grew up outside Beirut, I am from Zalka, five minutes away from Beirut. And at that time, in the 90’s, we did not go to Beirut because it was still destroyed, I didn’t really know the city, it is only at the age of 16, 17 that I discovered the city. I made some friends from Beirut and I discovered this world. Does your film describe the interaction of teenagers with the environment, and how encountering something different can be destabilizing at a certain period? The most important description is the anxiety that people have towards the fact of not knowing if they stay in this country or if they leave it, it is also the anguish of the people who would love to stay in Lebanon but leave for professional reasons. Is this film an expression of love for your country? Yes, if I criticize it’s only to get things better. In the movie, there are two stories, one related to the 90’s, optimistic, when I discovered the city, and all the people at the time were optimistic, and there is a point of view less optimistic, today’s point of view, people that are tense, the situation is tense, I wanted to put these two realities in parallel from the beginning. What are your projects after this important recognition?